Over the last week ConservativeHome has hosted a variety of reflections on David Cameron's first 100 days. This Ten Point Briefing draws on some of those reflections and summarises some of the opinions that have appeared in the ConservativeHome editorials on ToryDiary. (1) David Cameron has not yet transformed the opinion poll ratings of the Conservative Party. The party is still a long way from the 43% or 44% rating that it needs for a parliamentary majority of one. An opinion poll on David Cameron's 99th day gave Labour a 3% lead. This was a little disappointing given the very positive press coverage that the Tory leader has enjoyed. The same polls do show that Mr Cameron would probably do better against Gordon Brown, however. There has been some underlying improvements, too. More people think that the Conservative Party cares about ordinary people, as Stephan Shakespeare has observed, and most people see Cameron himself as "a likeable, charismatic, caring and reasonable family man". The Tory leader has certainly been at ease talking about his family and this has been welcomed by the popular press. (2) The first act of David Cameron's leadership was to establish a social justice policy group under the chairmanship of IDS. 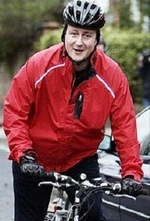 On his 100th day the Tory leader highlighted the problem of homelessness. Throughout his young leadership the Tory leader has been true to his campaign promise of a 'modern compassionate conservatism'. His 'Built To Last' statement of values includes the promise to test every policy for "how they help the most disadvantaged in society, not the rich". He has memorably promised to build "the nation of the second chance" where no-one is ever written off. He intends to deliver social justice by emphasising family life, a more vibrant social enterprise sector, freedom from drugs and renewal of schooling in disadvantaged areas. (3) If social justice is one important part of David Cameron's modernisation of the Conservative Party then the other most significant change has been an emphasis on green issues. Much of the greenery has been pretty cosmetic so far. A stunt at CCHQ in January and reticence about nuclear power have been typical of the non-sacrificial nature of the new blue-green Toryism. Much more radical things may yet emerge from the quality of life policy group chaired by John Gummer and Zac Goldsmith. 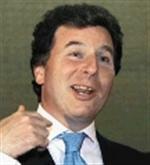 The UK conservatives find themselves at odds with other English-speaking world conservatives on global warming but Oliver Letwin (who has emerged as a leading influence on the Tory leader) believes that British public opinion is, on this issue, in agreement with 'Cameron's Conservatives'. (4) Oliver Letwin is David Cameron's policy supremo and has established an overlapping set of eighteen month policy review groups. These involve some of the most familar names from the Major years: Ken Clarke is looking at UK democracy; Stephen Dorrell at the public services; Michael Heseltine at urban regeneration; Peter Lilley at global poverty; and John Redwood at economic competitiveness. The eighteen month timetables for the policy groups are meant to suggest and deliver thoroughness. But the time gap between now and having clear policies concerns some Tories. Observer columnist Andrew Rawnsley has wondered about the Tories "running out of things to say over the next 18 months". "It is not at all clear how [David Cameron] is going to achieve the next leap forward in Conservative support," Rawnsley wrote. (5) The first policy group to report will be one established before David Cameron was leader. George Osborne established a tax commission that was first billed to examine a flat tax. Mr Osborne then shifted to a focus on flat-ter taxation and the Tory leadership is now only expected to only look at recommendations the commission makes on system simplification. The Shadow Chancellor's caution on tax - and the Shadow Education team's position on grammar schools - have done most to upset right-wing Conservatives. Supply-side Tories see UK tax levels rising above those in Germany and worry that Gordon Brown is slowly undoing the beneficial reforms of the Thatcher years. They would like to see more effort from Team Cameron in educating the public about the economic necessity of lower taxation. They resent the idea that lower taxation and economic stability are inconsistent as is implied in 'Built To Last'. (6) William Hague is by far the most popular member of David Cameron's frontbench team. The ConservativeHome Members' Panel gives him a net positive rating of 90%. Mr Hague has yet to deliver on Mr Cameron's campaign pledge to take Tory MEPs out of the EPP, however. Opposition to withdrawal has mounted from the likes of Ken Clarke and Caroline Jackson MEP. Eurosceptic Conservatives fear that the pledge might not now be honoured in full. Others fear that the EPP exit will have so exhausted the Tory leadership that they won't summon up the will for more important policy changes on Britain's relationship with Brussels. David Cameron has made some efforts to repair Tory relations with the White House. He has met Condoleezza Rice and leading members of his shadow cabinet visited Washington. Mr Hague used his trip to Washington to question America's moral authority in the war on terror. This has left British neocons confused but nothing should have disappointed more than Mr Cameron's failure to say anything substantial about Darfur (a tragedy he highlighted during his campaign). (7) David Cameron has yet to overhaul Central Office. It remains in largely the same shape that he inherited. Tomorrow he is due to set out proposals for reform of party funding. Caps on individual donations would be one way of honouring his pledge to 'stand up to big business'. The new Tory leader's one major organisational reform has been the initiation of a Priority List for Tory candidates. Unpopular with grassroots this Priority List aims to deliver a step increase in the number of female Tory MPs. (8) David Cameron has caused bewilderment in the Labour Party. Labour strategists appeared very unsure of how to critique him at first but have now settled on labelling him as weak on national security and opportunistic and trivial. 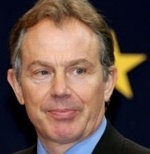 Mr Cameron has begun to succeed in his principal goal of separating Tony Blair from the Labour Party. The Prime Minister only secured passage of last Wednesday's Education Bill with the help of Tory votes. Although some Hefferesque Tories wanted Cameron to vote with the Labour rebels and defeat Tony Blair, the Conservative leader is pursuing a longer-term aim. Mr Cameron wants to refashion the Conservative Party as reasonable in parliamentary conduct and committed to the interests of consumer, not producer, interests in the public services. 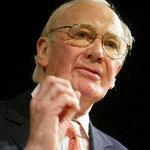 (9) In the earliest days of his leadership the panic he caused within the LibDems looked set to be his biggest scalp. On 16th December Mr Cameron made an audacious pitch to LibDem voters. He stressed civil libertarianism, environmentalism and localism. He even suggested that the pro-Iraq war Tories and the anti-war LibDems were "on the same side now". After a nightmare January that began with Charles Kennedy's resignation one YouGov poll saw LibDem support drop to just 13%. That would have seen a whole slew of yellow seats in the south and west of England become blue again. The LibDem recovery began at Dunfermline, however, and the Ming-Clegg leadership has restored the LibDems to being a credible third force. Tory strategists are now worrying that defeating LibDems is going to be tricky. Ken Clarke has spoken openly of a LibDem-Tory coalition after the next General Election. (10) As Project Cameron aspires towards 10 Downing Street the Tory leadership would do well to embrace something like this website's "Politics of And". ConservativeHome welcomes the new leadership's emphasis on global poverty and social justice but there was nothing fundamentally wrong with the core Tory policies on Europe, tax, immigration and crime that characterised the Hague and Howard years. The weakness of those years was the lack of balance and breadth. Project Cameron will not look authentic if one kind of imbalance is exchanged for a different kind of imbalance. Cameron's Conservatives will need to embrace The And Theory Of Conservatism and develop positive, crunchy policies if we are to woo the voters of John O'Sullivan's 'Curtisland' and the striving voters described by Iain Murray. Only a broad, ambitious conservatism will take Mr Cameron into Downing Street. 1. CCO threats to impose centrally-selected candidates on local authorities. 2. 50/50 A-List to create artificially controlled diversity. 3. Increased state funding of the big three political parties. 5. A forced vote on a vague hard-for-anyone-to-disagree with agenda long before any policy groups report back or policy decided, to ensure an ersatz mandate is universally won. Such a calculated increase in central control is surely incompatible with the small government aims of conservatism? There is one glaring omission in all of the huge activities that I see coming out of DC. I am not against much of what he is attempting to do within the Conservative party, but I have yet to see much, if any, OPPOSITION ! At a time when there so much visibly rotten in Labour, that desperately needs hammering, most of what we get is polite agreement, a "new kind of politics", while at this stage of the Major government, Blair and his cronies were screaming blue murder over relative nothings. The country is crying out for opposition, and not enough of them get it from Boris Johnson and others in the Telegraph papers. There is a vacuum out there that needs filling. It can be filled by us now, or mobs in the streets later, if they feel that "voice" achieves nothing, indeed, is not even being used, then their alternative will be direct action. I have yet to see a Conservative Party and not New Labour MKII! We have a government at present that represents dishonesty and sleaze, Gordon Brown has sold off billions of our Gold Reserves, for what reason? The police forces are being amalgamated even though the advice is don't. Regarding the Conservative Party, I think the public will need to know fairly soon what are the policies on Europe, Crime, hospitals, help for manufacturing industries,immigration just to name a few? At the moment I feel the party is like a ship without a rudder as unlike New Labour the ship has a rudder but the ship is called the Titanic and we are all heading for the iceburg! Can we have a commitment not to stick interest rates up to 15% again and a plausible plan to ensure it doen't happen? (again like the last time Conservatives were in power) along with a credible plan to ensure that this too doesn't happen? Unless this can effectively done - recurring failure at the ballot box is the most likely outcome for the foreseeable future. Wonderful blog you have here but I was wanting to know if you knew of any discussion boards that cover the same topics talked about here? I'd really like to be a part of online community where I can get feed-back from other knowledgeable people that share the same interest. If you have any suggestions, please let me know. Bless you! Hey! Do you know if they make any plugins to assist with SEO? I'm trying to get my blog to rank for some targeted keywords but I'm not seeing very good gains. If you know of any please share. Kudos! Good day! I could have sworn I've been to this blog before but after browsing through some of the post I realized it's new to me. Nonetheless, I'm definitely delighted I found it and I'll be bookmarking and checking back often! which can be organised by the Australian Authorities for youngsters who live in distant regions distant in the closest school. ce site web de tаrologues et de professionnels ԁe l’astrologie.